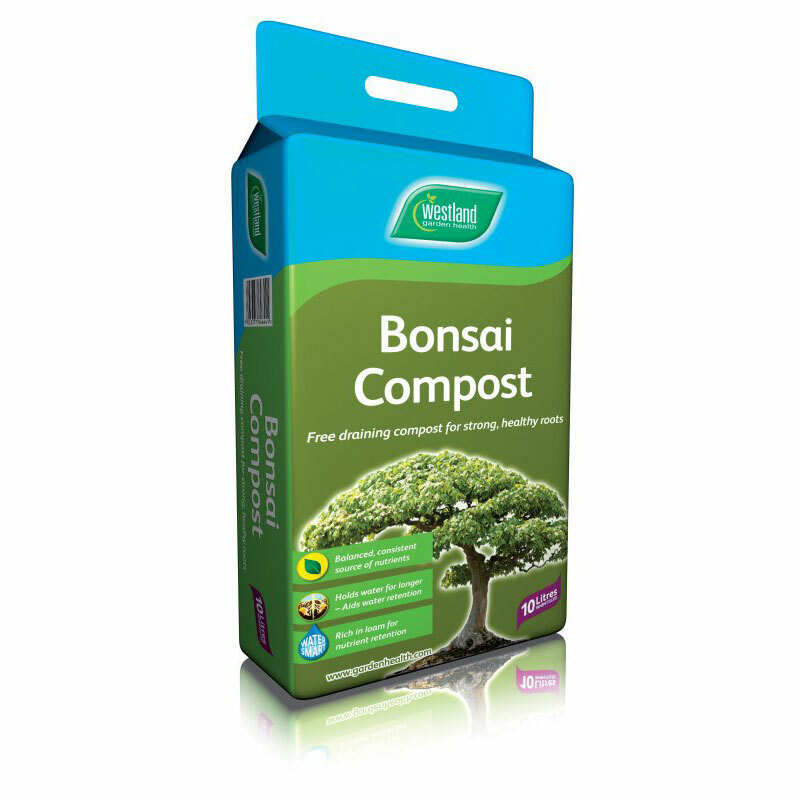 Westland 'Garden Health' Bonsai Compost 10ltr Bag provides ideal growing conditions for bonsai plants ensuring a free draining compost mix for strong healthy roots . Bonsai compost allows for good drainage, preventing water logging and protecting the roots. The added loam provides a consistent source of nutrients, trace elements and organic matter which slowly releases nitrogen to the plant. Bonsai lovers know that the secret of healthy bonsai plants is ensuring that the roots are always in good condition in a restricted container. Healthy Bonsai plants require the correct water, air and nutrient levels to grow and sustain growth, so using specially formulated bonsai compost is essential in this process.